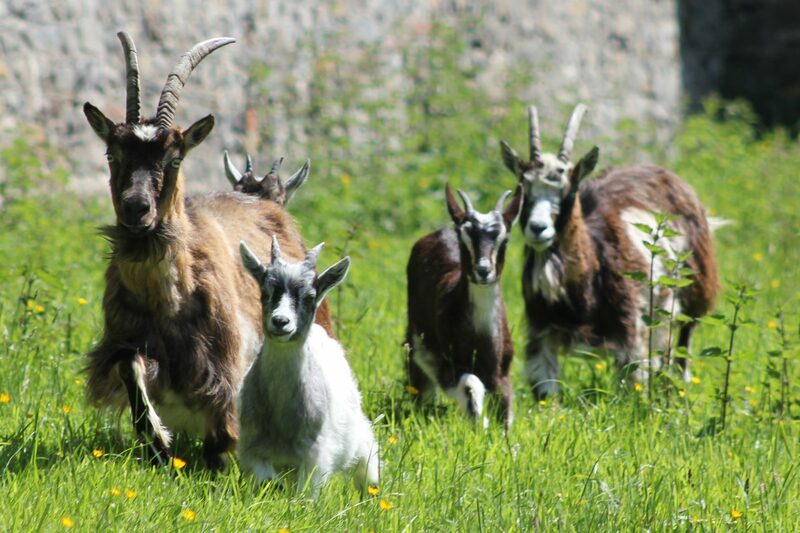 A conservation group is putting its faith in kids with plans for a €200,000 centre to save the old Irish goat from extinction. The Old Irish Goat Society, which was formed in 2006, hopes to use four acres of land in Mulranny, Co Mayo to domesticate the old Irish goat. 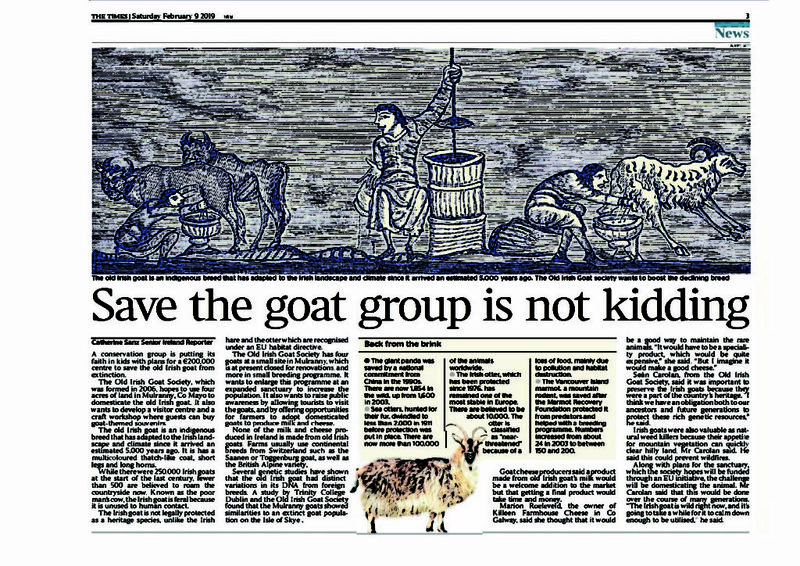 It also wants to develop a visitor centre and a craft workshop where guests can buy goat-themed souvenirs. The old Irish goat is an indigenous breed that has adapted to the Irish landscape and climate since it arrived an estimated 5,000 years ago. It is has a multicoloured thatch-like coat, short legs and long horns. Read the whole article at The London Times.